Reiki Treatment can help Chronic Pain. I often receive enquiries to my London Reiki Treatment Centre asking if Reiki can help Chronic Pain. There are many people today out there in this stressful world who suffer from terrible pain which can sometimes become chronic. It can manifest anywhere in the body from neck to shoulders to lower back... Quite often there will be no specific diagnosis which can leave the person in some ways more frustrated because there is no medical label for it. In these non-specific cases it's normally the way a person holds themself which can contribute towards how healthy they are. A person who is going through emotional or mental anguish can not only present that in the way they "think", but also in the way that they hold themselves. Meaning that it comes out in some sort of physical format, for example the saying "she is a pain in the neck". Some people with lower back pain can be associated with anger, tightness around the shoulders or pain and tightness around the throat, can be because the person is not speaking out about something important. Headaches have been known to be linked to worry and stress. If there has been severe trauma, the pain can be held in the muscles, organs and even at a cellular level. Reiki is extremely effective in healing pain caused by emotional tension and psychological distress that over time has built up inside the body. 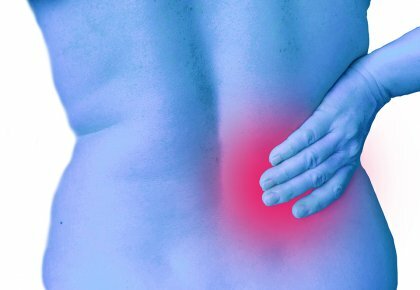 Lower back pain is the most common type of chronic pain and as I have mentioned above, it can be very frustrating because the source of the pain is non-specific. Reiki helps the body release old and held onto issues which allows the body to relax and open up. In its place a new balance and calm takes over which can increase a persons energy levels and minimises the pain. If the person is suffering from severe pain and it has been chronic for sometime, then I would certainly recommend 3 or 4 Reiki treatments over a period of 2 to 3 weeks. These Reiki treatments then enable a good build up of the energies and the client actually gets to feel the benefits and improvements themselves. I find that most of my clients know in themselves when they want another Reiki treatment for whatever reason. A client came to me not so long ago with a lower back pain that was non-specific and this is what he had to say "I heard about this Reiki clinic in Fulham SW6 and wanted to give it a try. I had had this reoccurring back pain for a while and it just was not going away. Georgiana was so welcoming but professional as well, and I immediately relaxed. I have to say that as I felt the warmth coming from her hands I could feel the pain in my back beginning to subside. By the end of the Reiki treatment my back felt much looser and the pain had gone". Are you suffering from Chronic Pain or do you know a friend that is? Would like to book Reiki session? Call my London Reiki Healing Centre on 07831 346607 or complete the form on the right.